Russian scientists from Podolsk have developed a unique building material «ELSTAR» – electrostabilized papercrete. It combines structural advantages of concrete with the environmental-friendliness of wood. Big pluses of this material are ecological compatibility, available consumables and low price. «ELSTAR» is produced from crushed wood waste that gets soaked in water, processed with special solutions and tools and then mixed with cementing substance so a ready piece of construction is fabricated. Each piece is processed with electricity for 50 minutes so it becomes very strong. This product can be used for the construction of any building. «ELSTAR» has less weight than a brick, so lightweight foundation can be used. Another important advantage of the new product is its low thermal conductivity (a 30 cm thick wall of «ELSTAR» is equal to the thickness of five bricks – 125 cm) and this reduces costs for heating of premises. This special concrete tile allows light to pass through. The tile contains optical fibers that make up about 5% of its surface area. The fibers are distributed uniformly throughout the surface to allow an outline to be clearly visible on the other side. The tiles have the unique combination of being nearly unbreakable and translucent. The material is made with a combination of optical fibers and fine concrete. It can be produced as prefabricated building blocks. Due to the small size of the fibers, they blend into concrete and become a component of the material like small pieces of aggregate. The result is a new material, which is homogeneous in both its inner structure and its surfaces. The material is manufactured by alternating layers of concrete and fibers. The concrete sets and the material is cut into tiles. The pattern of the fibers can be uniform, or can be designed to a specification such as artificial wood grain. The idea for Flexicomb grew out of a research project on structural honeycombs at the Yale School of Architecture. Thousands of closely packed polypropylene tubes form the flexible honeycomb matrix, which bends in the convex direction while remaining rigid in the concave. This translucent material is a re-valuation of a disposable everyday product—plastic drinking straws. Flexicomb can be bent, sprung, and compressed to form sculptural installations. IceStone is the world’s safest and most sustainable durable surface. 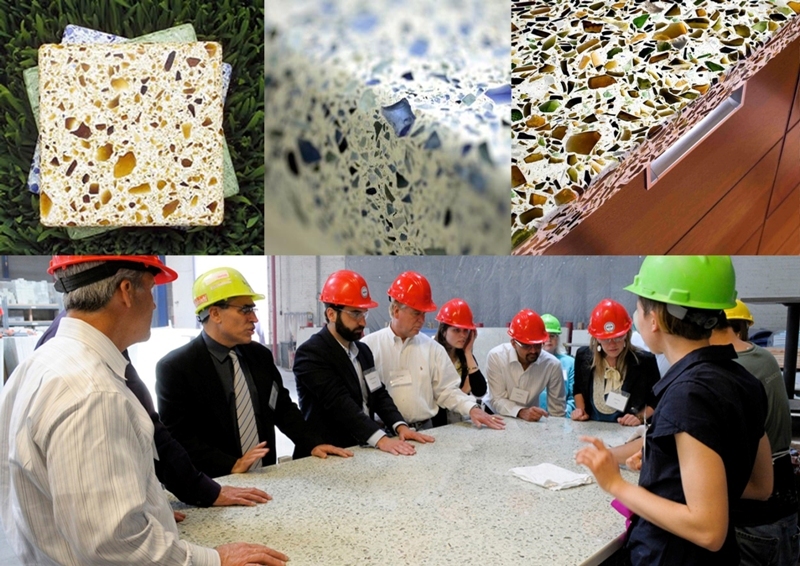 Each slab is made of three ingredients: 100% recycled glass, Portland cement, and non-toxic pigments.over 10 million pounds of glass have been diverted from landfills since 2003 for the manufacture of Icestone. 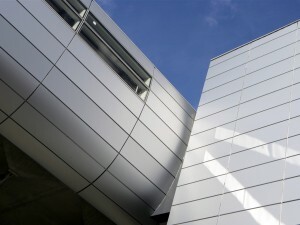 In addition to producing stunning, Cradle-to-Cradle Gold certified surfaces (Cradle to Cradle is a certification system that rates a product’s safety, recycled content, recyclability, and manufacturing processes,IceStone is the first and only surface to achieve the Gold level of Cradle to Cradle certification. )made from 100 percent post- and pre-consumer glass, IceStone commits to the environment in other notable ways. Finding a way to reduce electricity consumption, and substitute it by Natural light emitted through fiber optics, and for that reason a material to store natural light during the day is required in order to emit it at night. Metamaterials are engineered materials having properties that may not be found in nature. They usually gain their properties from structure rather than composition. It allows us to work between basic and applied science, and experiment a wide area and explore unlimited capabilities. 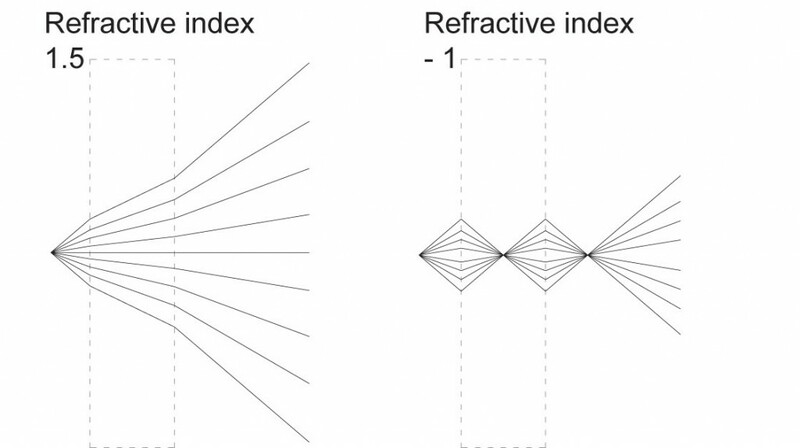 Those materials have negative index of refraction which does not exist in nature which allows us to explore the other half of optical field that has not been studied. The negative refractive index can be used to efficiently bring light to a complete standstill. Consequently, I went through some research material that explains the original scientific concept of bringing light speed to zero, in order to comprehend how it works in the scale of atoms, so that I would be able to employ it in the metamaterial properties I need.